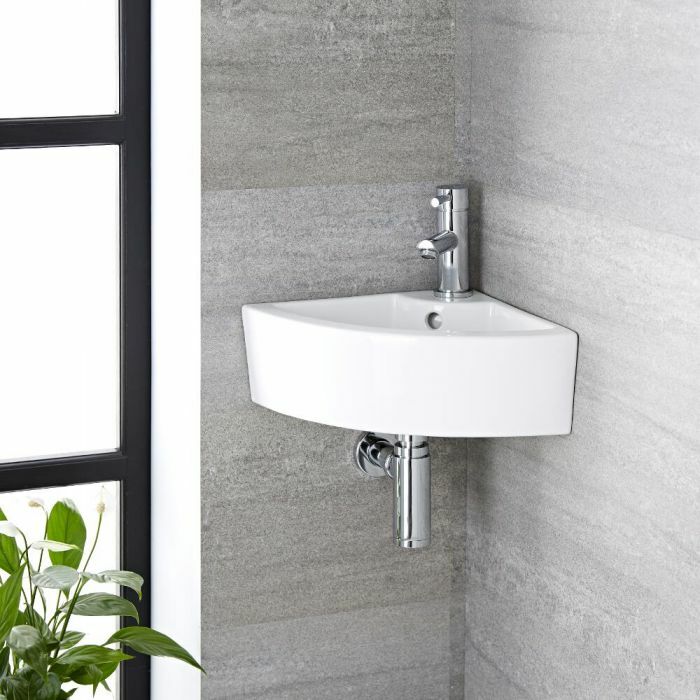 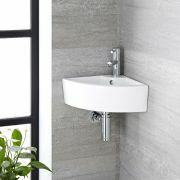 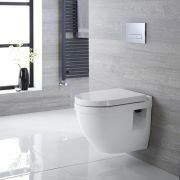 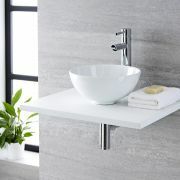 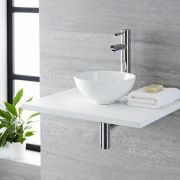 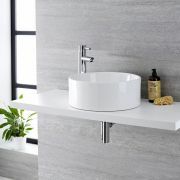 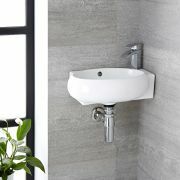 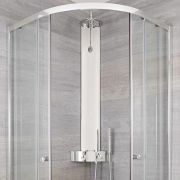 Upgrade your en-suite or cloakroom with the stylish and contemporary Milano Newby 460mm x 320mm wall hung corner basin, maximising the available space. 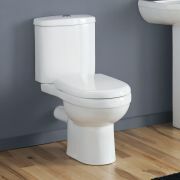 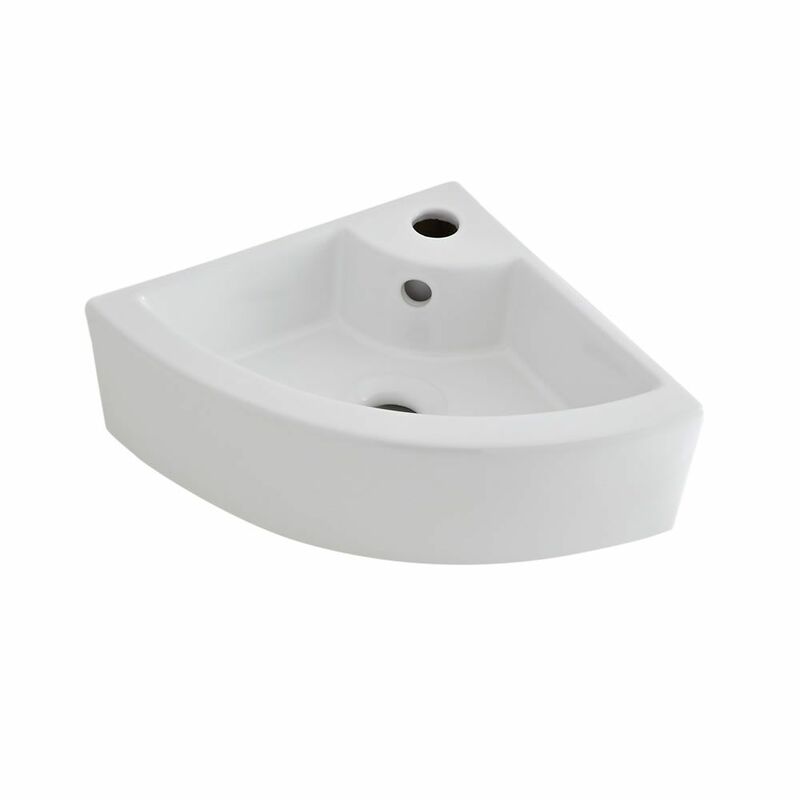 Made from premium quality ceramic and finished with a durable white glaze that is easy to clean, this wall hung basin will bring a modern and sleek style to your bathroom. 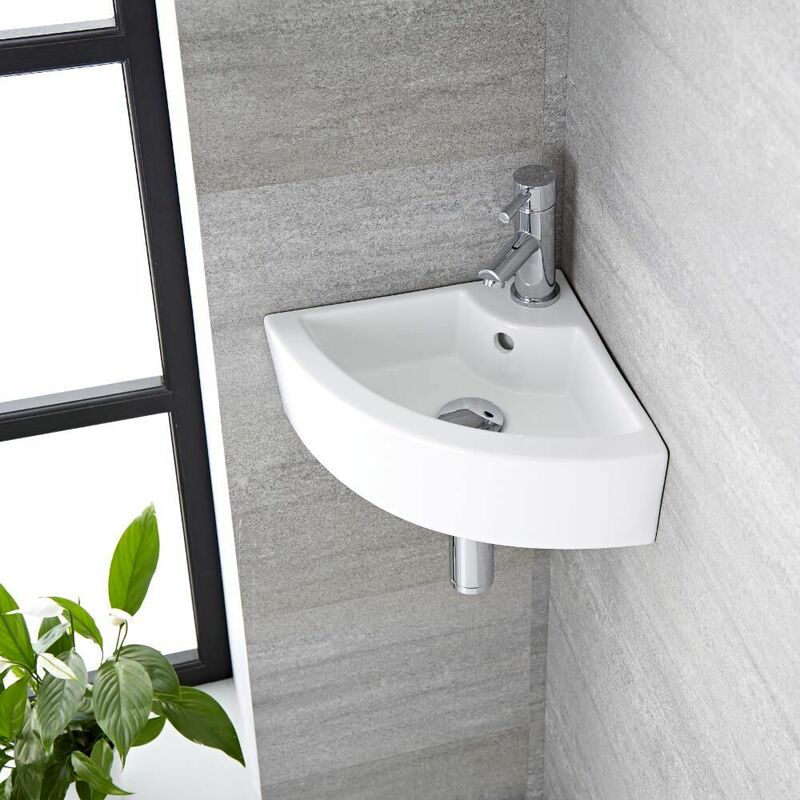 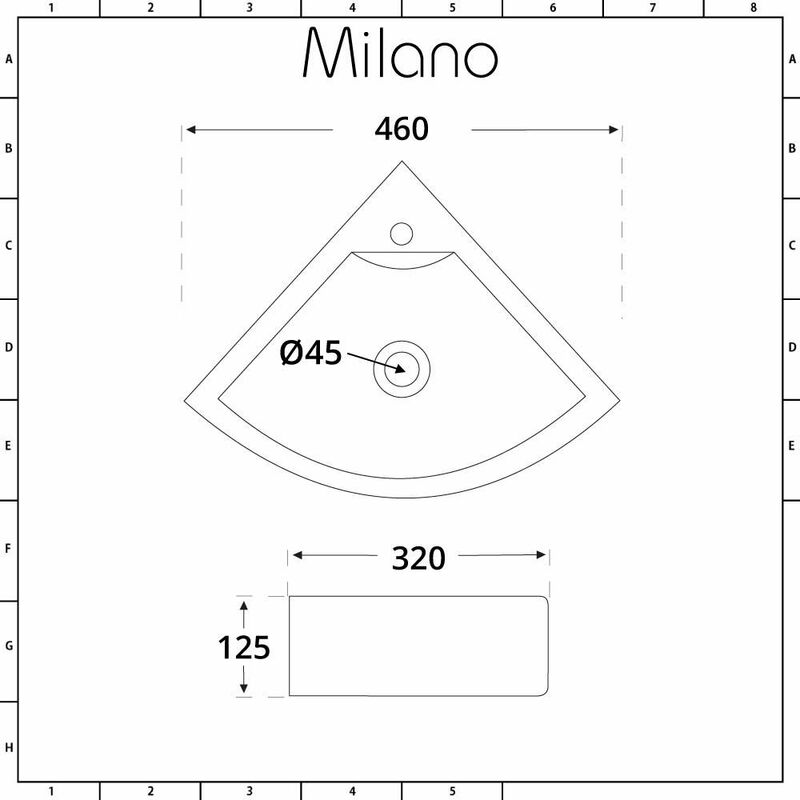 The Newby includes a single tap-hole, allowing you to create the finish you want with one of our mono basin taps.